Metro now has a one-stop-shop for all of its security camera footage, and the Metro Transit Police Chief says the ability to track riders across the system has helped solve hundreds of crimes. 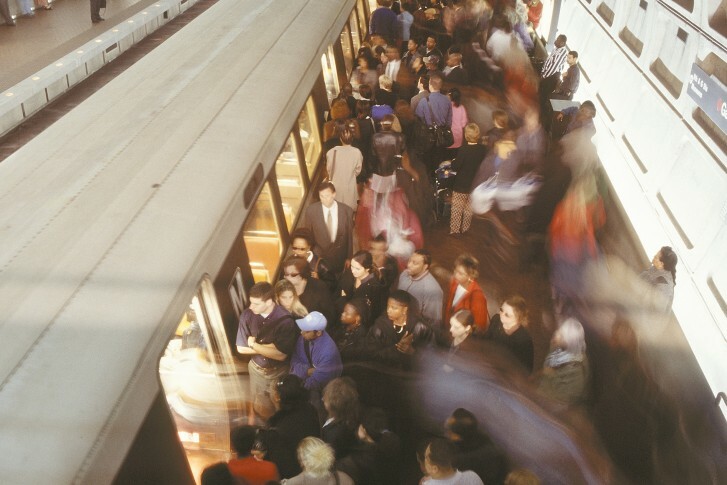 WASHINGTON – Metro now has a one-stop-shop for all of its security camera footage, and the Metro Transit Police Chief says the ability to track riders across the system has helped solve hundreds of crimes. The Security Operations Control Center includes constant, live monitoring of available cameras, police radio communications, security and fire alarms and chemical detection systems. While some of the features are new, the biggest change with the opening of the center this year is that everything is monitored and coordinated from one place. “It’s a great technology advancement we’ve made, probably one of the greatest we’ve made since I’ve been here,” Chief Ron Pavlik says. It has not stopped crime in the system, like a recent assault on the Red Line, but Chief Ron Pavlik says it has helped officers a lot, especially when factoring in a 2014 agreement to share video footage with other agencies across the region. “It really gives us the ability to confirm an incident, and just to throw some numbers out there: through video analysis [this year], we’ve made over 500 adult arrests, over 200 cases were closed, and over 100 cases were unfounded,” Pavlik says. The center has processed more than 6,200 requests for videos so far this year from both inside and outside of the Metro Transit Police Department, and has also been used to help decide when to close station entrances or make stations exit-only or entrance-only during major events like July Fourth. Metro Board documents, prepared for Pavlik’s presentation earlier this month, state that security cameras are now an “integral part” of Metro’s security strategy both at rail stations and on buses. “Metro camera systems have proven useful in both internal and external intelligence, investigation, and emergency management,” the summary says. Federal grants have helped Metro buy more high-tech cameras in recent years. “From Alexandria, to Fairfax to the District of Columbia, through this video analytics we can confirm when people use our system, their travel patterns, things of that nature, where you can confirm a robbery occurred or a criminal act occurred and then link that back to the event,” Pavlik says. “The ability that we have now as an agency to review video real time, to monitor it real time, to go back in time, and using video analytics software, it’s really advanced the security side here at Metro,” he adds.